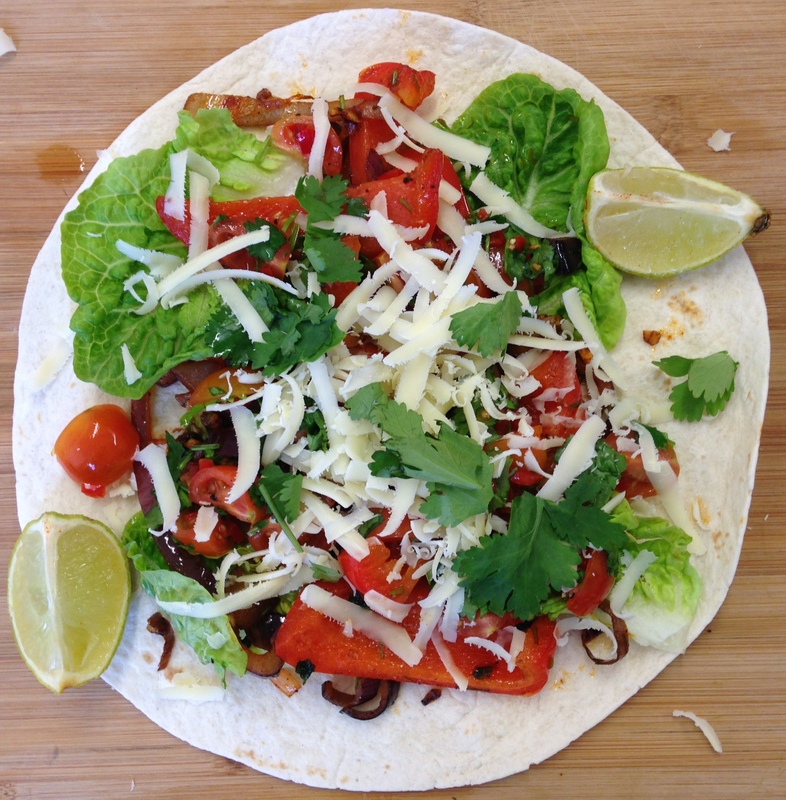 Fajitas should be in everyone’s collection of recipes, they’re real crowd pleasers and are quick and easy to make at short notice. I love cooking these for my family as they’re a particular favourite of my brother, and although he (and alot of you!) 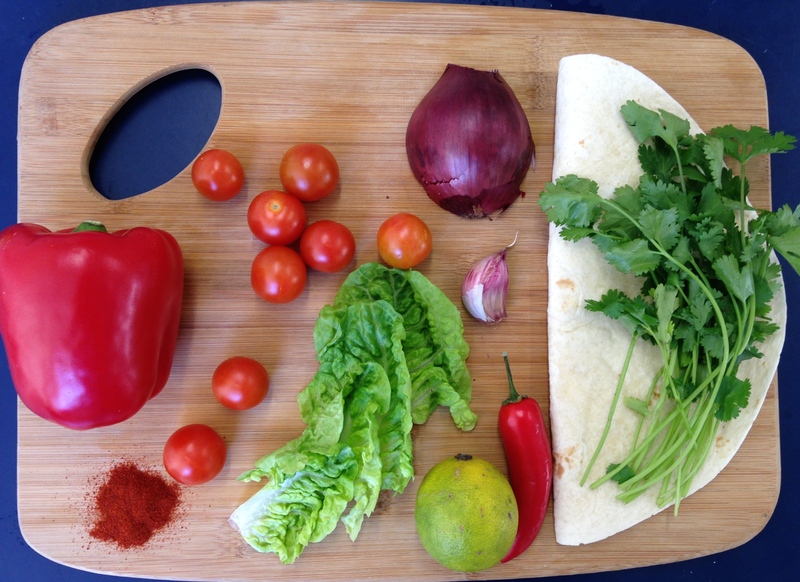 may prefer to use chicken, I’ve used red pepper and red onion in these wraps. The best part about fajitas are the toppings, so if you want to go all out try out different sides, for example slices of avocado or even refried beans or rice. 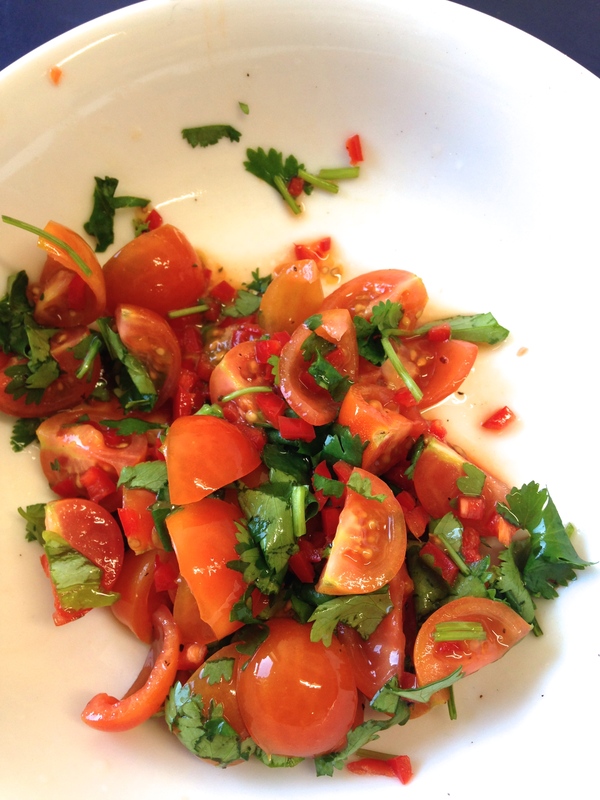 Start by making the salsa, finely chop the coriander leaves and red chilli, then roughly quarter the cherry tomatoes. Mix these together in a bowl with the juice of half a lime and some salt and pepper and set aside while you prepare the veg. Slice the onion thinly, followed by thick slices of the pepper. Then finely chop the garlic and coriander stalks. 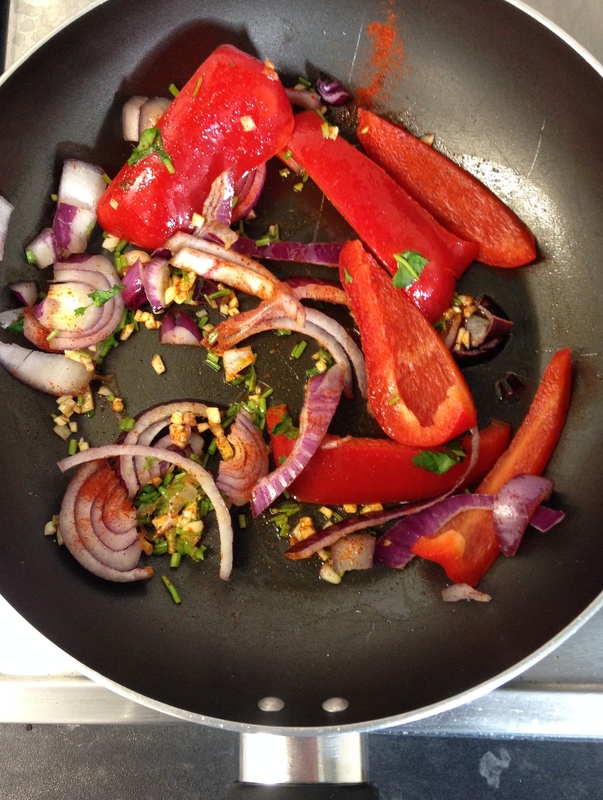 Put about 1 tbsp of olive oil into a frying pan and once the oil is hot, add the garlic, coriander, paprika, pepper and onion. Fry until the onions are soft but the peppers are still a little crunchy, then serve on the wraps with lettuce, salsa and cheese. This recipe is so easy and can be done in 15 minutes and is also one of my favourites to feed lots of people with. So cook for your friends and family and just enjoy making them smile! Looks delicious but I must say I get so awfully constipated when I eat red peppers! Could I swap them for peppers of a different colour?